"Mr. Margulies is gifted at creating complex characters through wholly natural interaction, allowing the emotional layers, the long histories, the hidden kernels of conflict to emerge organically. Throughout, his dialogue crackles with bright wit and intelligence. Although Time Stands Still is deceptively modest, consisting of a handful of conversations among just four characters, the range of feeling it explores is wide and deep." —NY Times. "Can you be a dispassionate, uninvolved observer of horrific events, recording them for posterity and still keep a sense of right and wrong, not to mention your sanity? It's one of several questions getting a workout in Time Stands Still…Insightful writing, the work is smart, stylish, timely and layered with an intriguing seriousness that inspires discussion after the curtain comes down—a rarity these days." —Associated Press. 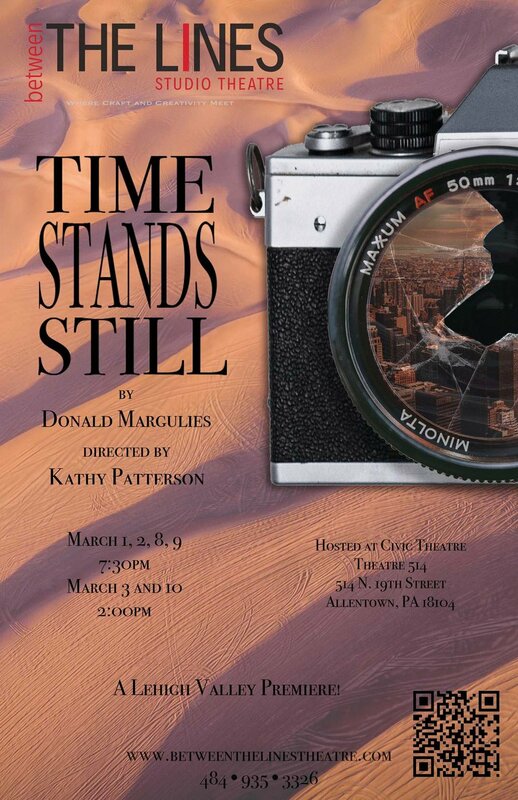 "Donald Margulies' Time Stands Still compellingly demonstrates what a master playwright can do with great economy and efficiency…A rare play that encompasses universal issues and personal problems with equal compassionate insight. A splendid theatrical experience culminates in the author's taking no sides and providing no easy answers. What we get is the assiduously impartial, clarifying confrontation of the existential dilemmas that confront all of us." —Bloomberg News. "A solid play—taut and well-constructed, with hardly a single detail extraneous." —Time Out NY.